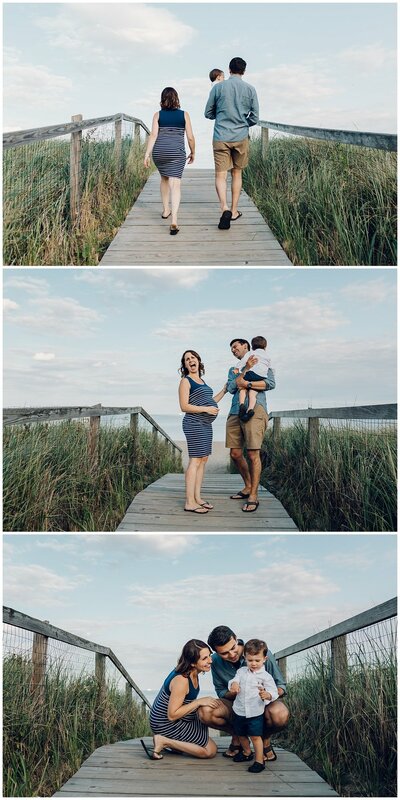 This sweet family of three was my favorite kind of family to work with - fun, easy going, and totally not into looking at the camera (seriously, I'm a candid lover all the way! )...we started in their beautiful home, and this sweet little boy was loving every moment of attention from the camera. He was so excited by our session that he was literally bouncing all over the room and even his parents were completely surprised. They kept turning to me and saying "We've never seen him this hyper before!" Sure enough, like all toddlers, there was a breaking point when we arrived at the beach when the rush started wearing off and the exhaustion set in. Luckily, we were able to keep him going for 10 more minutes, just enough time to capture some beautiful moments under a perfect pastel sky.